A year ago today we moved into our new apartment. For much of the first week we had no gas and no ability to cook. Also, I was suffering from a debilitating thumb injury which prevented me from cooking without much challenge. I actually completely forgot about our lack of heat and my damaged thumb before reading back to last year's posts. That is a testament to how fondly we remember that time. However, looking back at where we were one year ago I am happy to say we are in much better shape this evening. 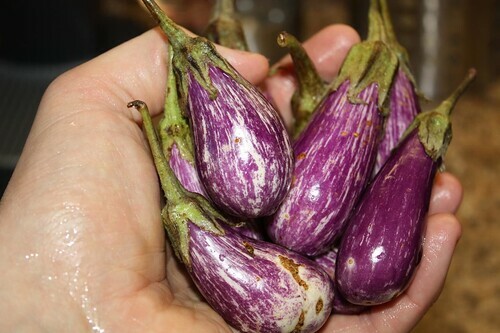 At the farmer's market today we found these wonderful little fairy tale eggplant. Partly because they were so tiny and cool-looking but also partly because we were told they were creamy and delicious. I was skeptical about that. 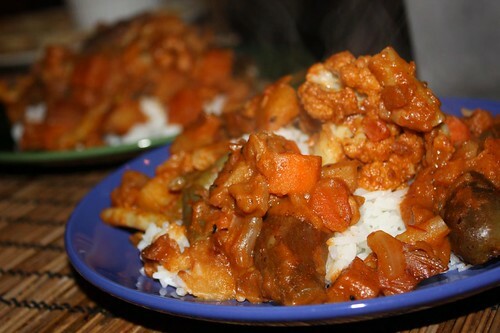 Along with onion, carrot, sweet potato, and local cauliflower I cooked down the fairy tale eggplant and made a vegetable korma. Also with all of this I added some purple and yellow beans from last year's farmer's market visit. Purple beans are like the practical joke of the farmer's market in that they cook to be completely green like any regular bean you might happen upon. 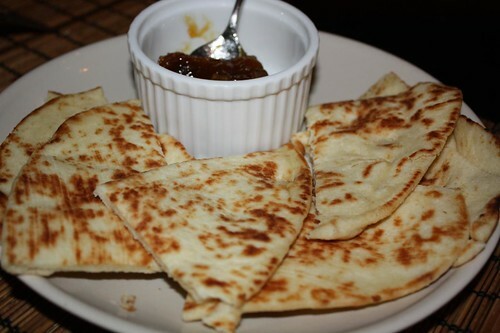 I also toasted up some naan and served it with some mango chutney. 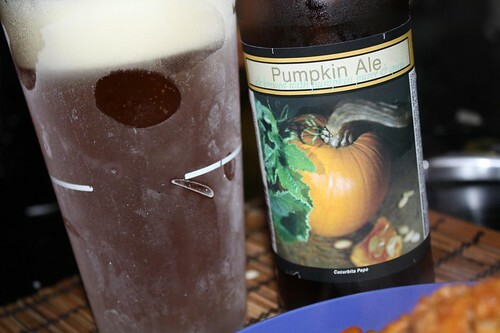 I chose this beer for tonight's meal and, again, it worked quite well. Finishing up our autumnal beer collection on October 2nd may have been getting a little too much of a jump on this season's beers. However, I am now ready for the winter and if anything else comes my way perhaps I'll layer it into the blog. This beer is nutty and hoppy with malt overtones. The keen taster will detect hints of caramel and hops. It is very drinkable with a great mouthfeel. Full bodied but not aggressive. Citrusy hop finish. Great flavor profile. Now just use that review for every future beer I list.